SolarCity broke ground on its massive solar panel manufacturing facility in Buffalo, New York on Tuesday, according to a release from New York Governor Andrew Cuomo. The facility, when, and if, fully completed in early 2016 is supposed to make a gigawatt worth of solar panels a year, in the one million square foot facility on 88 acres of land in the development park called RiverBend in South Buffalo. A Silevo cell, image courtesy of Silevo. Solar startup Silevo, which SolarCity announced it would buy for $200 million this summer, previously had a deal to be an anchor tenant at a new manufacturing hub at the RiverBend site, and that hub is owned by the State University of New York’s College of Nanoscale Science and Engineering. Through the acquisition, SolarCity took over that deal and has now agreed to work with the state to spend $5 billion over the course of 10 years to build out and operate the factory, creating local jobs. The Research Foundation for the State University of New York will cover the initial construction and manufacturing equipment costs of the factory, using $750 million worth of funding from the state of New York. SolarCity will be responsible for construction and equipment costs beyond what the state will cover, and the Foundation will own the facility and lease it to SolarCity in a deal where SolarCity pays a $1 per year for 10 years, plus the cost of utilities. 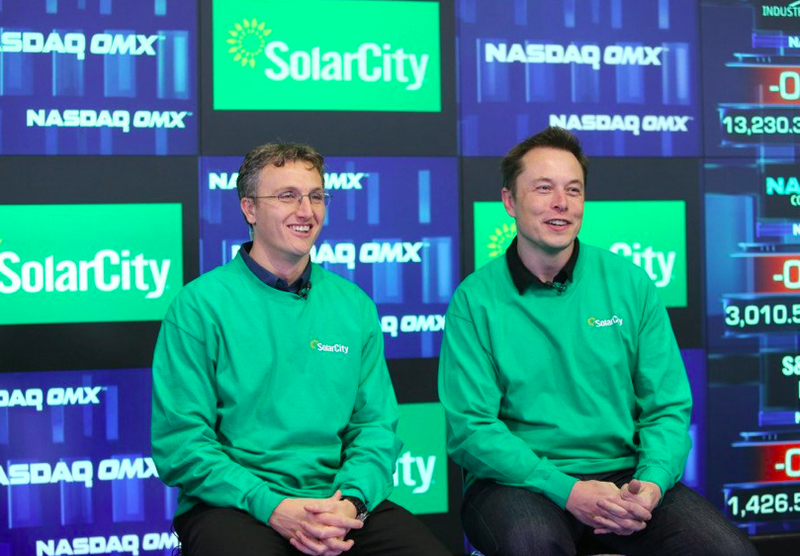 SolarCity expects to spend $150 million initially on the facility. In return for the investment, the state of New York will be creating nearly 5,000 jobs according to the Governor. SolarCity will directly be creating 1,450 manufacturing jobs at the factory, and the company says it will employ another 2,000 workers in the state for its solar development business over the next five years. The remaining 1,400 jobs created will be indirect supplier and support jobs in the state, according to a Governor release. According to an SEC filing, the deal is subject to the state of New York finalizing the funding amount by October 17th. This factory is the first time that SolarCity is moving into solar cell and panel manufacturing in a major way. The company has previously built up its business around financing and installing rooftop solar systems. 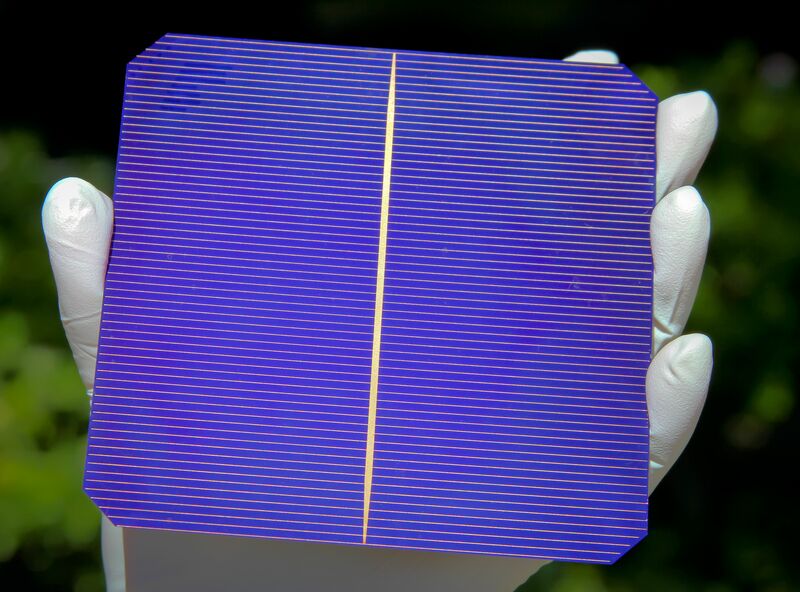 Founded in 2007, Silevo developed a new type of solar cell design using not only silicon (the main material in traditional solar panels), but also combining different materials for other cell components to squeeze more energy out of the system and to improve the cell’s efficiency. The company uses more efficient single-crystal silicon as the base layer, and then it adds on a “tunneling oxide layer” and a layer of amorphous silicon to alter the voltage and current of the cells. SolarCity CEO Lyndon Rive has called Silevo’s tech “what we believe is fundamentally the best photovoltaic technology.” But since this is the first time Silveo’s technology is being produced at commercial scale there is an element of risk to scaling up this technology so quickly. According to another SEC filing from SolarCity, the company plans to raise $500 million through the offering of convertible senior notes. I can’t see how could they compete with Chinese multi-gigawatt makers.. with real government support, they are improving tech and lowering cost month by month, they already have hi-power (over 300W) modules, access to cheap poly (CGL), massive scale production experience and international branding (ie: TSL, CSIQ, JKS, JASO).. I guess it will be another “Evergreen Solar”.. they also began with technological advantage, but before they could go massive, were widely outweighed by Chinese producers. $750-million for 5000 jobs? $15,000/job, seems like a bit of a payout, but if this works the potential is solid, state income taxes should pay back the initial investment in a few years, and being a leader in renewable tech manufacturing will breed more business for NY. yeah that’s $150,000 /job big guy. How does the math work now?